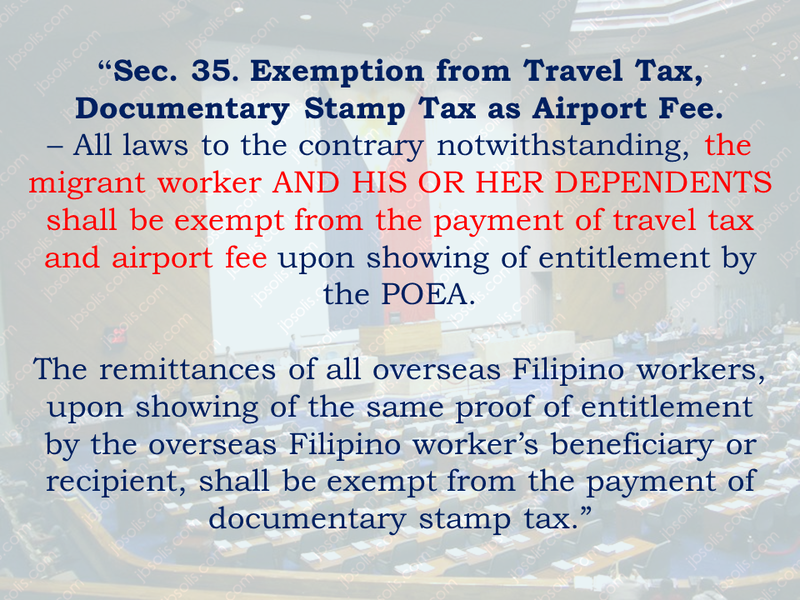 House Bill 6138 seeking to grant travel tax exemption to dependents of married or solo parent Overseas Filipino Workers (OFWs). 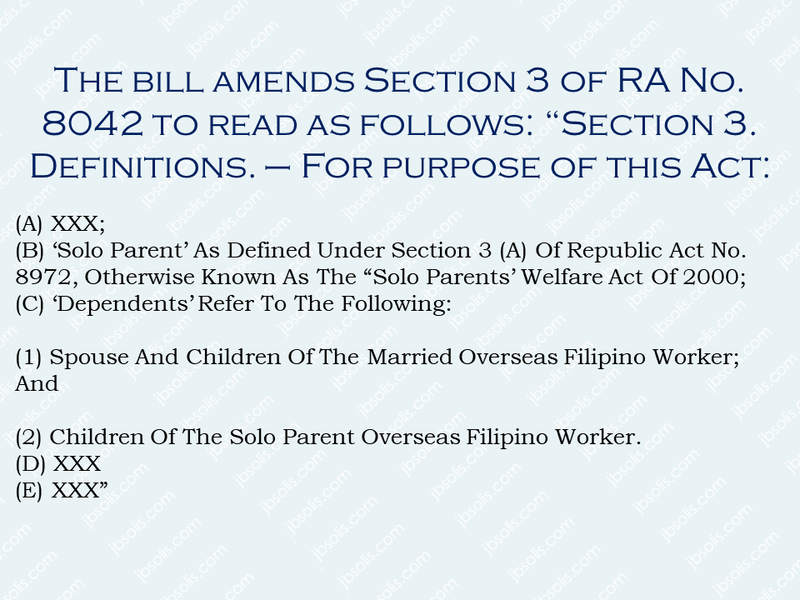 The bill seeks to amend Sections 3 and 35 of the Republic Act (RA) No. 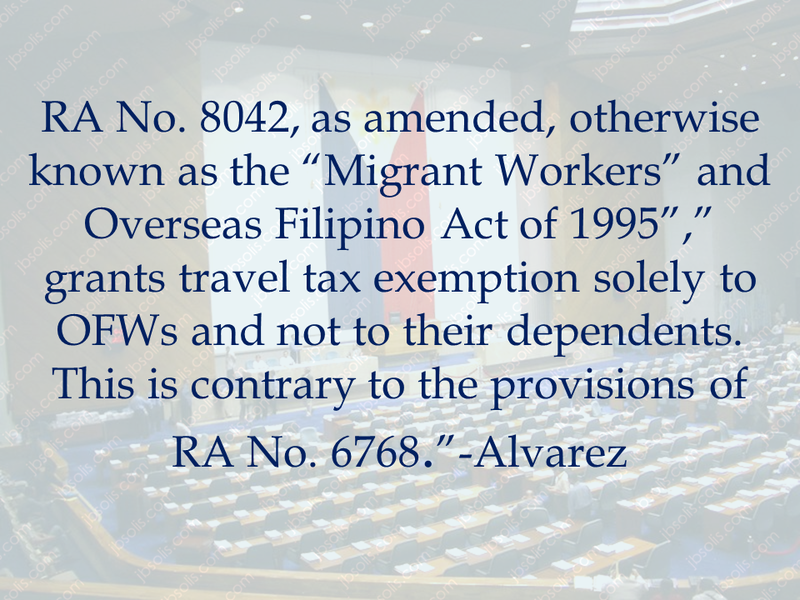 8042, otherwise known as the “Migrant Workers and Overseas Filipinos Act of 1995”, as amended by RA No. 10022. 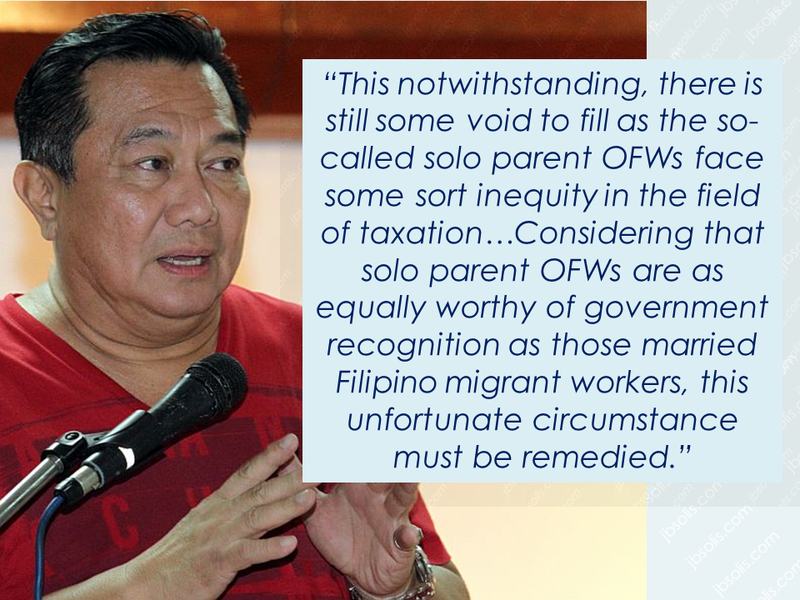 He said the government has as much as possible conferred upon these OFWs privileges and protection in various matters. 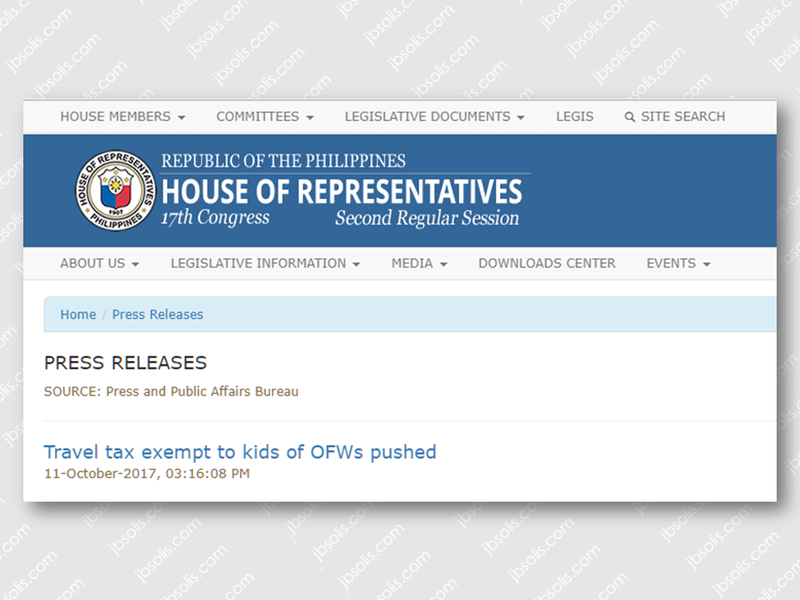 Alvarez explained that children of these single parent modern-day heroes are currently denied exemptions from travel tax, an incentive to which kids of their married counterparts are entitled as provided for under RA No. 6768, as amended. 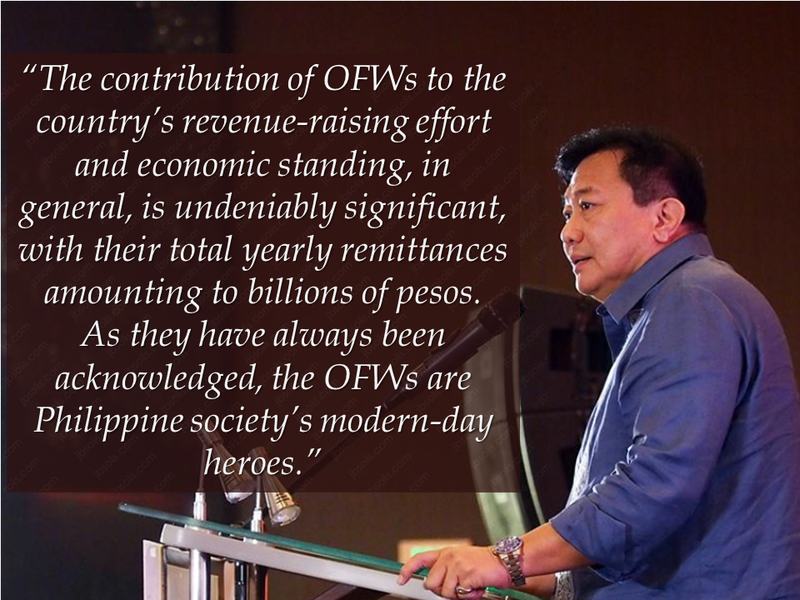 He added there should be undivided and impartial recognition of the laudable and selfless hard work of all OFWs. The bill states that within six months from the effectivity of the Act, the Secretary of Finance shall, upon the recommendation of the Commissioner of Internal Revenue, promulgate the necessary rules and regulations for its effective implementation. The measure also calls for the further amendment of RA No. 6768, as amended, otherwise known as “An Act Instituting A Balikbayan Program. 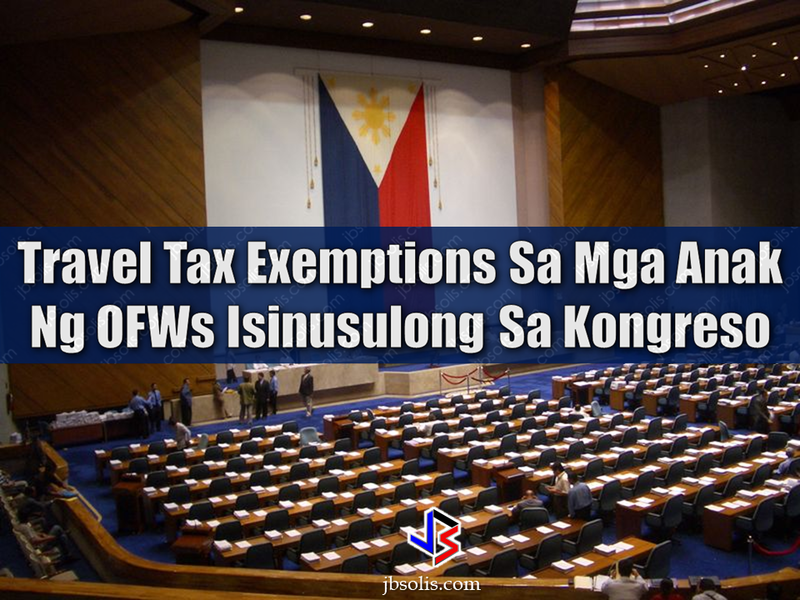 Among the authors of the bill includes Majority Leader Rodolfo Farinas (1st District, Ilocos Norte), Reps. Dakila Carlo Cua (Lone District, Quirino), chairman of the committee on ways and means and Lucy T. Gomez (4th District, Leyte), chairperson of the committee on tourism.